Amid increasing demand for commodities and delayed approvals for mining projects back home, India's resource-hungry corporations are going aggressive to acquire natural resource assets overseas. 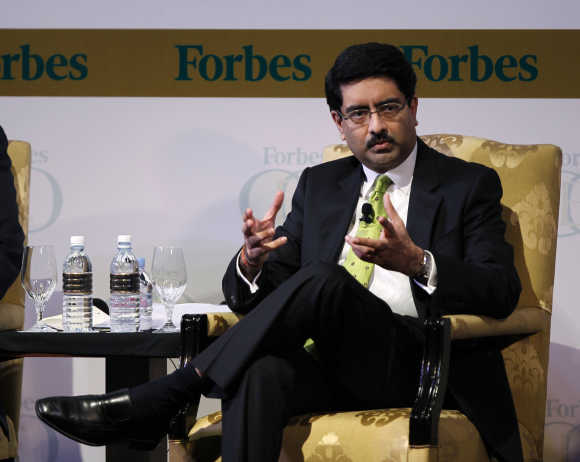 The latest example is the Kumar Mangalam Birla-controlled Aditya Birla Group's decision to increase its bid for Australia's Northern Iron Ltd by 14 per cent to $532 million (Rs 2,985 crore). Another case in point may be the Naveen Jindal-promoted Jindal Steel and Power Ltd's decision to buy Canada's CIC Energy Corp for $114 million. "A fairly large number of our Indian clients in the metal space are actively looking for acquisitions in Australia," said Rajeev Pant, country head, National Australia Bank. The bank started operations in India about seven months ago, seeing increasing demand for a natural resource play by Indian corporations. ABG already owns copper mines in Australia and is seeking to expand its presence in the commodities market, aimed at long-term growth in Asia. 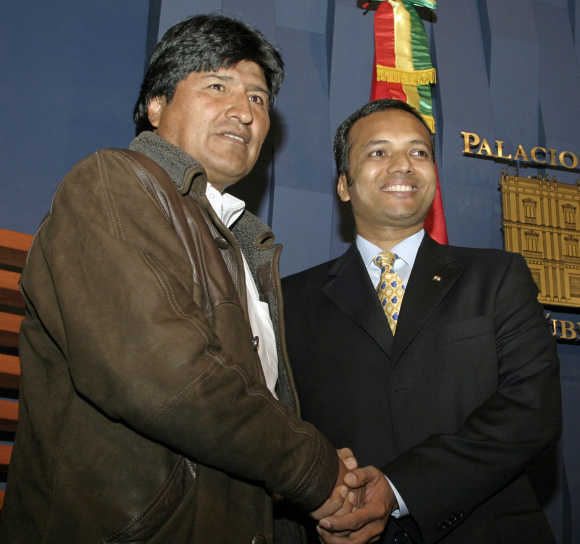 Image: Bolivia's President Evo Morales with Naveen Jindal in La Paz. Northern Iron operates the Sydvaranger iron ore mine in Norway, where it plans to double the annual output to 5.6 million tonnes. ABG is in the mining business through Essel Mining and Industries and has offered a 75 per cent premium to the target's closing price on Monday. "We will take a week to decide whether to allow the Aditya Birla Group to have further due diligence of the company," said John Sanderson, managing director of Northern Iron, speaking over the phone from Norway. Jindal Steel in its bid to acquire CIC Energy's coal mines in Africa has offered a 27 per cent premium to the closing price of the company's shares on Monday. 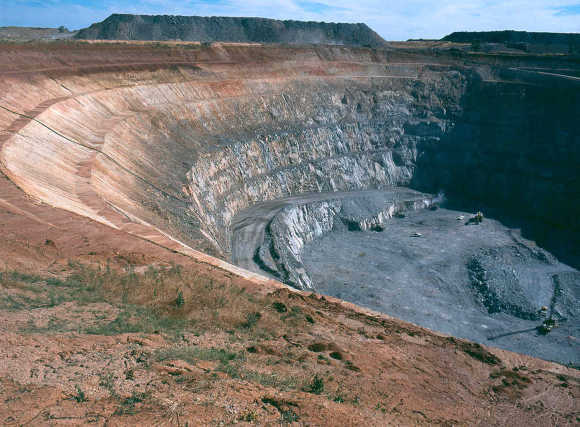 Image: A view of a copper-gold mine in Central West New South Wales. CIC Energy, based in the British Virgin Islands, is developing the Mmamabula coalfield in Botswana, estimated to hold about 2.4 billion tonnes of coal. CIC Energy's board has recommended that shareholders accept the offer. Attempts to reach Sushil Maroo, Jindal Steel group chief financial officer, for his comments failed. "Developing mining assets in India is facing many roadblocks," said Bhavesh Chauhan, senior research analyst at the Mumbai-based Angel Broking. "Companies have no option but to look for assets overseas," he said. Companies such as Adani Enterprises Ltd, GVK Power and Infrastructure Ltd and Sesa Goa Ltd have ventured outside to beat resistance to land acquisition and delayed government approvals in India. 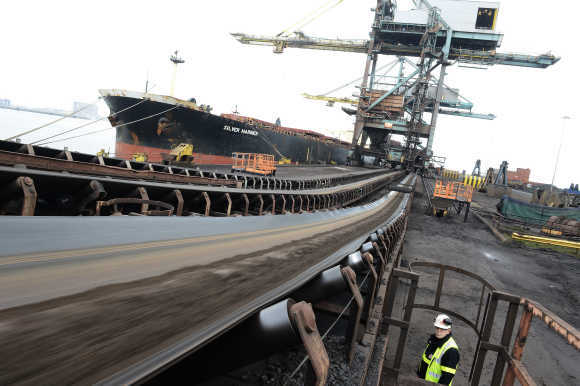 Image: Iron ore from Brazil is delivered to SSI steel plant at Redcar in northern England. 2011: Of 2G, illegal mining and the Supreme Court!